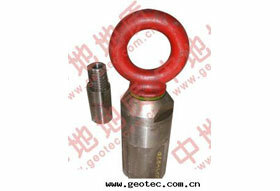 The hoisting plug is a frequently-used wireline core drilling part in drilling field. It connects hoisting line and drill pipe to hanging the drill rod joint or lock joint thus raising the drill. The hoisting plug is made up of a bail, roller bearing and a tool joint thread with high quality tool steel. So it has high strength, safety and reliability characteristics.We can provide standard NQ, HQ, PQ heavy duty hoisting plug and custom sizes are always available. We are a professional hoisting plug manufacturer and supplier in China. We have gained the recognition of a large number of clients through our 20 years' production experience and marketing and serving experience, and meanwhile we have accumulated abundant experience in terms of products. At the same time, we keep researching hoisting plugs that can better meet the clients' needs and the market. Our hoisting plugs have been exported to South America, Africa, East Europe, Southeast Asia, and Middle East. We have clients in America, United Kingdom, France, Canada, Australia, New Zealand, Philippines, Indonesia, India, Chile, Brazil, Russia, Algeria, Morocco, Malaysia, Thailand, Pakistan, Mongolia etc. Located in Wuxi, near Shanghai, the biggest port city of China, we are provided with convenient transportations of any kind, by land, sea or air, which will greatly reduce your transportation cost. To meet the clients' different demands, we can provide all kinds of geological drilling tools, such as diamond core bits (synthetic natural), reaming shells PDC bits, core barrels overshot, drill rods. If you need them, please contact us.